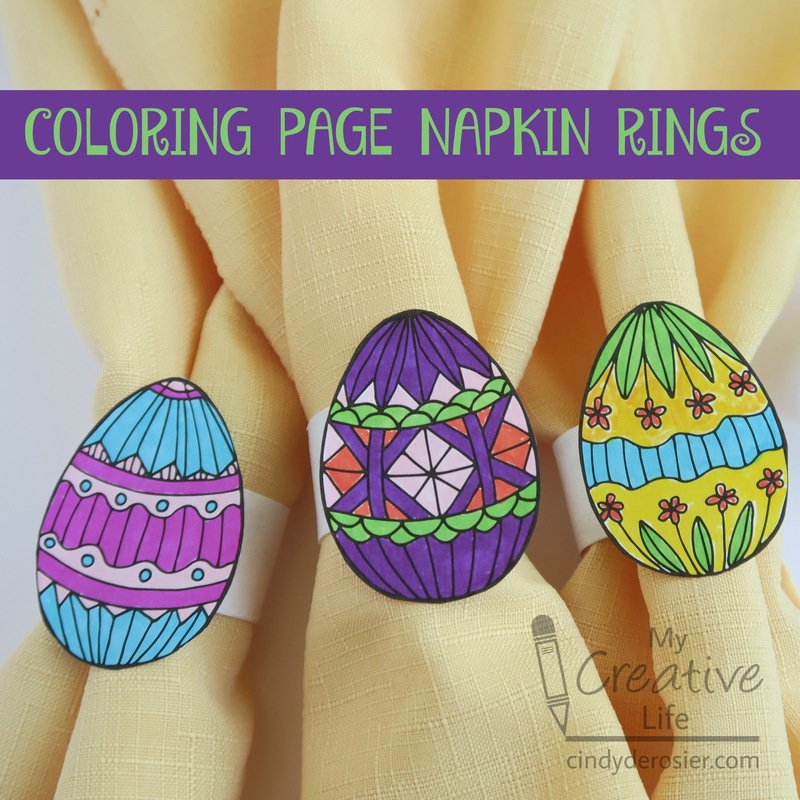 Today I'm sharing the next project in my ongoing "What You Can Do with a Completed Coloring Page Besides Leave it in the Book" series: napkin rings! You can turn just about any coloring page into napkin rings, but I chose to use one of my favorite pages from Easter Wonders Color Art. 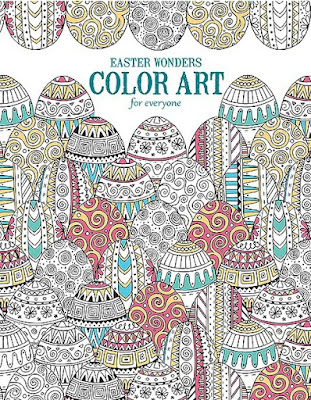 I received this coloring book from Leisure Arts and I love it! 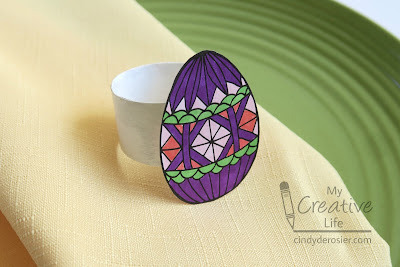 Making napkin rings really couldn't be easier. Cut an empty cardboard tube into 1" rings, then paint each piece white. 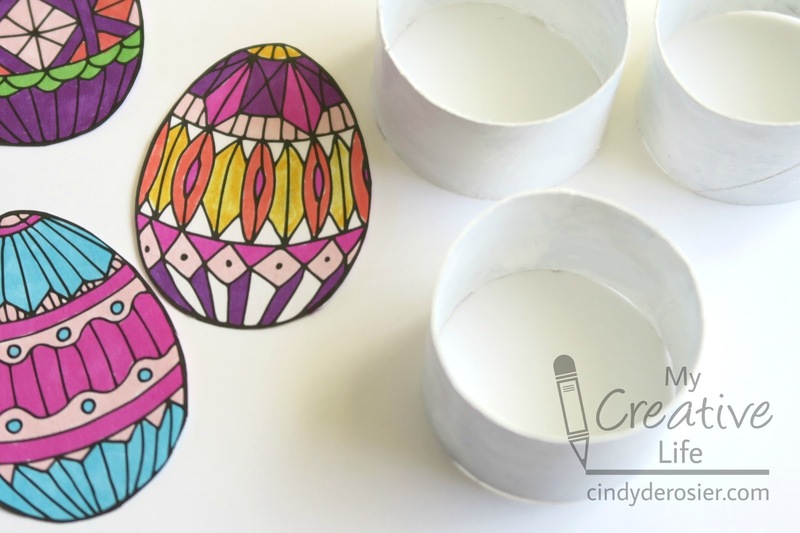 While they are drying, use microtip scissors to cut out your colored images. Glue the cut images to the rings. 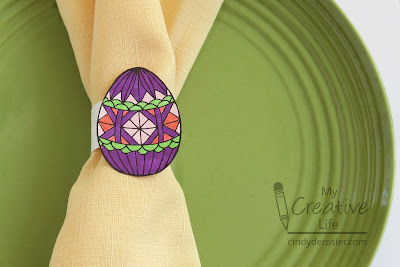 Slide napkins into the rings and place one on each plate. You're all set for a special Easter meal! 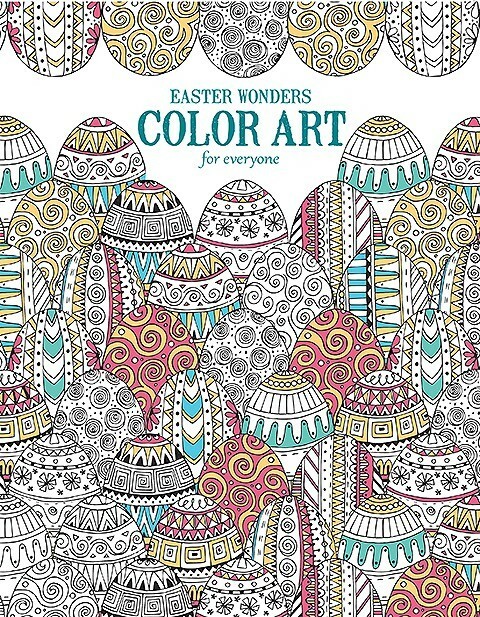 As you might have guessed, Easter Wonders Color Art has quite a few pages that feature bunnies. I'll be sharing a project using one of those coloring pages soon! Ohhhhhh these are FABULOUS! I love them!!!!!!!!!! !